It is difficult to keep up with postings during a holiday break back home! However, a couple of things are quite exciting, at least for a History nerd such as myself. I was shown a wonderful primary record tucked into the corner genealogy room of the Loutit District Library, while back in Grand Haven, Michigan. 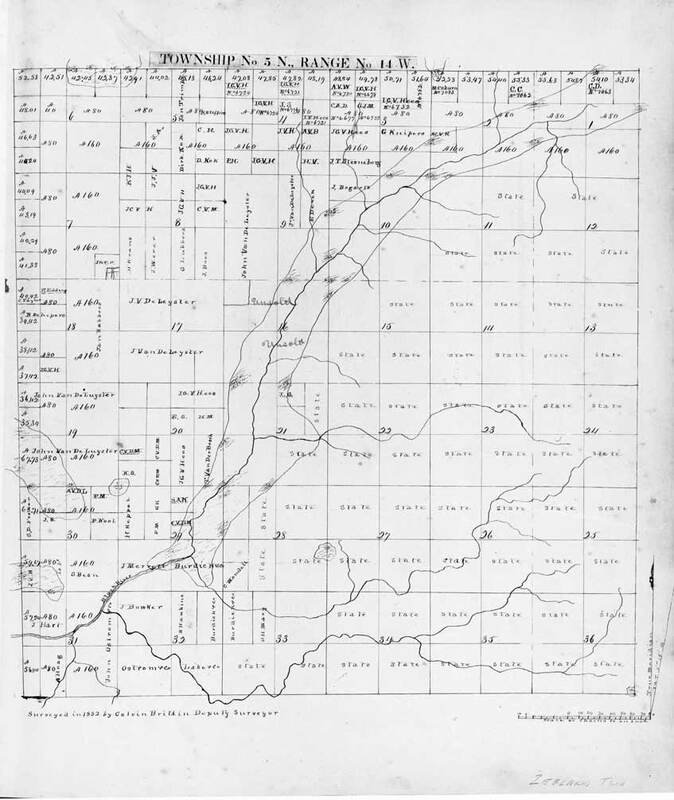 Henry Pennoyer, prominent citizen of Grand Haven in the mid-1800s, is credited with a book of early Ottawa County township maps, at a time when most land was still owned by the State government. The book has been digitized for patron copies but not for circulation. Sadly, the maps are too old to include the land holdings of my ancestors but they are a beautiful image of this historic county. This 1832 survey of Zeeland Township was created by Calvin Britain. At that time, he worked as Deputy Surveyor but was active in State politics throughout his life. He made his home in St. Joseph, Michigan. The Pennoyer book has been digitized and is available in the Local History and Genealogy Room.